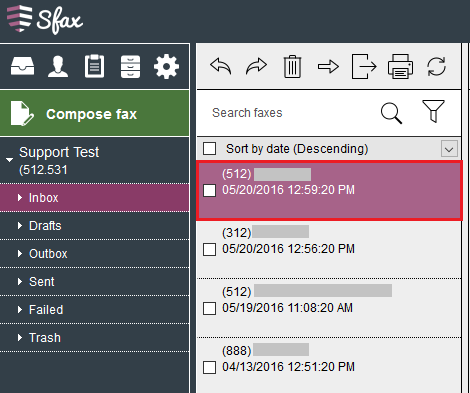 Sfax will allow you to view the audit trail or the notes of a fax. Notes can be automatically generated by the system or manually added by a user. 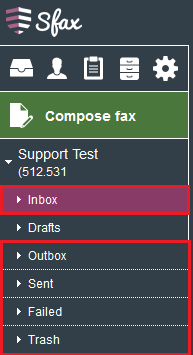 First, select the folder where the fax in question is located in Inbox, Outbox, Sent, Failed, or Trash folder. Once you have selected the fax, look to the upper right and click the Notes icon. 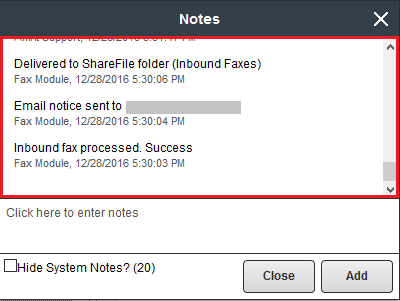 The Notes window will open and you will be able to view any actions performed on this fax by the system or users. The action performed will be listed followed by the user name, date and time in reverse chronological order. The user name Fax Module is for actions performed by the system. Here are some common actions performed by the system or users. Fax view saved. 1 pages rotated. Fax moved to Trash bin. Outbound Fax queued for sending. Fax failed due to Document rendering error.